Courtesy of RE/MAX PLATINUM REALTY. Welcome home to your Beachfront Masterpiece with 24 hour staffed security gate. Your spirit of freedom and creativity will come alive! Powdery white sand beaches, warm turquoise gulf waters, and tropical gardens frame this Modern 8220;Infinity House 8221;. So called because the 180 degree panoramic Gulf of Mexico views make you feel like you are on your own private yacht every day! Spectacular sunsets add to the artistry of this rarely available Sanderling Club deeded beachfront Estate located on Siesta Key. Recently redesigned and completely remodeled with only the finest materials and workmanship including Hurricane Protection by Impact sliding doors and windows. As an added bonus, bring your boat with available bayside community docks. Traveling the meandering road with canopy oak trees to your private end of street location in a community so rare you’ll feel like you have stepped back in time. Upon arriving you will see and experience the impressive scale of this island style home. An elevator will take you to all of your living floors easily and swiftly. Your private gym awaits you. There is an additional 923 SF of AC recreation/storage room and 520 SF of deck and terrace overlooking The Gulf of Mexico. Enjoy your private lagoon front dock and gazebo perfect for kayaking and fishing! Sanderling Club features tennis courts, bayside marina, beach cabanas, & historic clubhouse designed by Paul Rudolph. This extremely private, tropical oasis is ready for you to move right in! Please, send me more information on this property: MLS# A4417437 – $6,850,000 – 8448 Sanderling Rd, Sarasota, FL 34242. 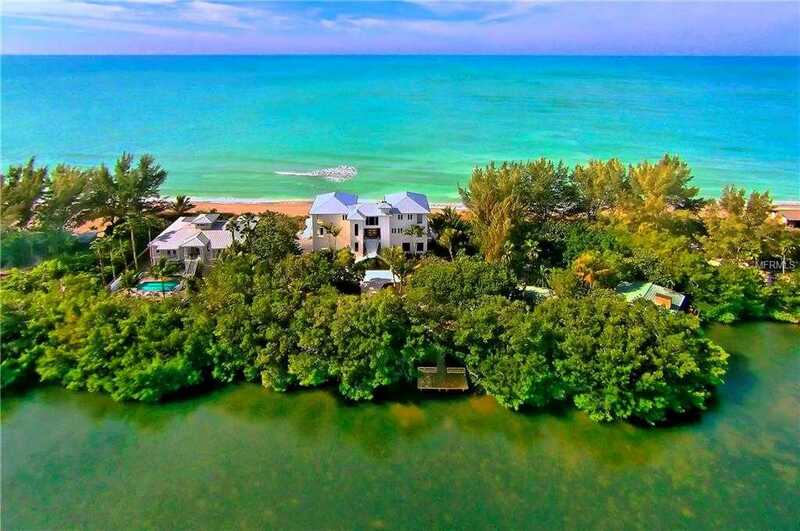 I would like to schedule a showing appointment for this property: MLS# A4417437 – $6,850,000 – 8448 Sanderling Rd, Sarasota, FL 34242.